Our New Preacher here at Columbine. Teachers! Teachers! Teachers! My, How God Loves Them! Teachers uphold the truth of God always; at least they should, and when they do, wonderful things happen. Darkness is banished, light is brought to bear, the great things of life are illuminated, and error is exposed. Little minds and hearts are touched for good, and lives are changed for the better! Teachers deal with the great issues facing every generation. If not, then the practical application of these great truths is lacking and much is left undone. Without direction and application, people often go away untaught and are left to wonder what God expects of them. Teachers change our communities and lives. Their example and training often spill over from the classroom into our families, communities, and lives. God wills it so. This is an expression of our lights shining and our salt influencing those about us. Some of our dearest memories are of teachers we have had in our lives. They have made a difference. They always will. Man is a teachable, learning being, and great and good teachers influence us. One of their rewards is found in seeing the change in their students’ lives, and just once in a while the student then becomes a teacher himself. What attribute and honor to those who taught them. This is a great reward. So, dear teacher, please continue to forget the thankless hours of preparation and sacrifice, the pain and anguish of teaching. Just keep on doing your wonderful thing, for God loves you—and so do we! “Meditating on the Word,” edited by Wayne Burger, is a work of the Columbine church of Christ, 7453 S. Zephyr Ct., Littleton, Colorado, 80128. E-mail: burgpreach@prolynx.com — Suggested topics are welcomed. o He worked in this area about four or five years, but we do not have record of what he did. God is around me, so why should I fear? In terms of information that we have about Enoch, he might be called a minor character in the Bible, but in terms of lessons that he teaches us, he can be called a major character. It’s not uncommon in the Bible to find major lessons from minor characters. All that we know about Enoch is found in three passages. “Enoch lived sixty-five years, and became the father of Methusela. Then Enoch walked with God three hundred years after he became the father of Methusela, and he had other sons and daughters. So all the days of Enoch were three hundred and sixty-five years. Enoch walked with God; and he was not, for God took him” Genesis 5:21-24 (NASB). “By faith Enoch was taken up so that he would not see death; and he was not found because God took him up; for he obtained the witness that before his being taken up he was pleasing to God” Hebrews 11:5. The name “Enoch” is also mentioned in Jude 14-15, but the article will not address that passage. In these few verses we see a worthy example and valuable truth. that information. The third way in which he was in the minority will be discussed later. Many practical lessons can be drawn from this worthy example. First, he walked “with” God. In a sermon presented March 22, 1964 to the Hillsboro church in Nashville, Tennessee, the beloved brother B. C. Goodpasture gave an interesting and powerful insight as to what it means to walk “with” God. Based upon the King James and American Standard versions Deuteronomy 13:2-4 exhorts Israel to “walk after” God (NASB has “follow”). Goodpasture said, “to walk after God is to recognize our dependence upon God. It is to recognize God’s authority over us; it is to bow in submission to his will, acknowledge his leadership.” Brother Goodpasture also points out that in Genesis 17:1 God told Abraham, “Walk before me.” Goodpasture explains, “To walk before God is to walk conscious of God’s presence, to walk conscious of his superintending power and might.” But, with Enoch the text says that he “walked with” God. We are not saying that Enoch did not walk after (follow) God, nor are we saying that God was not “before” Enoch. But, the word “with” conveys a close, intimate walk with God. What a special walk that is – a walk where one has a close and personal relationship with God. If we will develop that kind of relationship with God today, we can do as was promised the faithful saints in Sardis, “They will walk with Me in white, for they are worthy” Revelation 3:4. Second, he walked with God in a time when it seemed that most others did not walk with God. Genesis 5 leads into the account of Noah and the flood. The character of those genealogies Moses recorded, “Then the Lord saw that the wickedness of man was great on the earth, and that every intent of the thoughts of his heart was only evil continually” Genesis 6:5. Those were the peers of Enoch. It is a lot easier to walk with God when everyone around us walks with God; it is a lot harder when most people around us are not walking with God. That makes Enoch a special example. Our corrupt society makes it hard to walk with God, but not impossible. Righteousness can be manifested by an individual when all around him are unrighteous. In the midst of our crooked and perverse generation we can walk with God just as Enoch did (Philippians 2:15). He did it because he was determined that his direction was to walk with God. These factors determined his destiny. Even though the majority of our peers have determined to have a direction away from God, we can follow the example of Enoch. Dealing with that idea Paul exhorts, “Therefore if you have been raised up with Christ, keep seeking the things above, where Christ is, seated at the right hand of God. Set your mind on the things above, not on the things that are on earth. For you have died and your life is hidden with Christ in God. When Christ, who is our life, is revealed, then you also will be revealed with Him in glory” Colossians 3:1-4. Third, he lived life to the fullest. In an article entitled “A Man Who Did Not Die” in the January 26, 1973 issue of the Gospel Advocate, Guy N. Woods made an interesting observation about the length of time that Enoch lived. Of the nine other men named in this context, seven of them lived over 900 years. The other two lived 895 and 777 years. Enoch lived less than half as long as the shortest life and barely over a third as the longest. But, he is the one of whom it is said, “For he obtained the witness that before his being taken up he was pleasing to God” Hebrews 11:5. Life is not measured in length, but in breadth and depth. A great contrast is seen in Enoch’s son Methusela, who lived 969 years, the longest of anyone whose age at death is recorded in the Bible. But, when one studies carefully, one finds that Methusela died the year of the flood. Whether that was by natural death, or died in the flood, we cannot determine. He had length, but we do not have record of any depth to his life. Today, it doesn’t matter how long we live. What does matter is the depth and breadth of our life with regard to our relationship to God. Fourth, he walked with God without written instructions. He lived long before God’s word had been put into any kind of printed form. It is true that God spoke directly to the Patriarchs, but at the same time, they had to remember without the benefit of being able to read God’s instructions whenever they wished. Instructions improved when Moses recorded God’s law. But, even that is so much inferior to what we have today. In America, and in many parts of the world, people have or can have a written copy of God’s instructions for life. What a blessing! Enoch didn’t have that blessing. Not only do we have specific instructions for today, but we have the written examples of those who have lived before us. It’s no wonder why Paul said, “For whatever was written in earlier times was written for our instruction, so that through perseverance and the encouragement of the Scriptures we might have hope” Romans 15:4. Fifth, he was a great example to his children. Notice that the text says that he was sixty-five when Methuselah was born. It is interesting to note that the next verse says, “Then Enoch walked with God three hundred years after he became the father of Methuselah.” We may not know for sure what Enoch’s life was like before Methuselah’s birth, but it implies that Enoch was not walking with God. Becoming a parent is a powerful motivator to begin to walk with God. Enoch’s example shows us how our walk with God should be an example for our children: (1) It should be a long walk – whatever number of years the Lord grants us to live, we need to walk with God, (2) It should be a consistent walk. Enoch did not start and stop – it was constant. Methuselah never saw a day in which his father was not walking with God. (3) It was a walk with which God was well-pleased (Hebrews 11:5). As sinful as we are, we can live a life that pleases God. This indicates that Enoch had faith in God because “without faith it is impossible to please Him, for he who comes to God must believe that He is and that He is a rewarder of those who seek Him” Hebrews 11:6. Finally, Enoch teaches a valuable lesson that each person in the world today needs to learn. The Hebrew writer said, “God took him up” Hebrews 11:5. Enoch proves that there is life beyond this life. God has a place prepared for us after death. Death is not the end. Jesus said, “In My Father’s house are many dwelling places; if it were not so, I would have told you; for I go to prepare a place for you. If I go and prepare a place for you, I will come again and receive you to Myself, that where I am, there you may be also” John 14:2-3. We can go where Enoch went. Life is not just what we have in this body on this earth. May Enoch motivate us to live for God in this life as we look “to obtain an inheritance which is imperishable and undefiled and will not fade away, reserved in heaven for you who are protected by the power of God through faith for a salvation ready to be revealed in the last time” I Peter 1:4-5. Under the Law of Moses the Jews had several different holidays and feast days they were to observe (Leviticus 23). When Jesus died on the cross He removed the Law of Moses (Ephesians 2:14-15). Because the Jews had observed these holiday for centuries, it was difficult for some of them to give up those holidays. Therefore they wanted to bring them into the church and bind them on Christians. Paul condemned Christians for observing those holidays. He wrote, “You observe days and months and seasons and years. I fear for you, that perhaps I have labored over you in vain” Galatians 4:10-11. He also said, “Therefore no one is to act as your judge in regard to food or drink or in respect to a festival or a new moon or a Sabbath day – things which are a mere shadow of what is to come; but the substance belongs to Christ” Colossians 2:16. Those holidays were fulfilled in Christ. Because they were fulfilled, they are not to be observed or bound today. But, about this time each year the broad spectrum of Christianity begins to promote special holidays. We need to understand that these are holidays that the traditions of men have devised and that they do not come from the Bible. Below are some modern day holidays and what they symbolize. Fat Tuesday – “Fat Tuesday is the traditional name for the day before Ash Wednesday, the first day of Lent. It is more commonly known as Mardi Gras, which is simply Fat Tuesday in French. It gets its name from the custom, in many Catholic countries, of marking the day with feasting before the fasting season of Lent begins” A Dictionary of Catholic Terms. The Bible speaks nothing of this activity. In today’s society it is a very sinful festival. Ash Wednesday – “The seventh Wednesday before Easter; the first day of Lent for most Christians; the day after ‘Fat Tuesday,’ or Mardi Gras. It is frequently observed as a day of fasting and repentance for sin. In some churches, ashes are placed on the foreheads of worshipers on Ash Wednesday as a reminder of their mortality. The words of God to Adam in the Bible are often used in the ceremony: ‘dust thou art, and unto dust shalt thou return’” The American Heritage New Dictionary of Cultural Literacy, 3rd Edition. The Bible does not authorize such activity. Lent – “The Christian season of preparation before Easter. In Western Christianity, Ash Wednesday marks the first day, or the start of the season of Lent, which begins 40 days prior to Easter (Sundays are not included in the count). Lent is a time when many Christians prepare for Easter by observing a period of fast-ing, repentance, moderation and spiritual discipline. The purpose is to set aside time for reflection on Jesus Christ – his suffering and his sacrifice, his life, death, burial and resurrection,” Mary Fairchild “Christianity Expert.” Again, the Bible doesn’t say anything about Christians observing a time of fasting or giving up some particular item for a certain period of time. Maundy Thursday – It comes from the activity of Jesus washing the disciples feet on Thursday night before He was crucified the next day. It comes from the Latin term mandatum (commandment). It is the ceremony of washing the feet of poor people as Jesus washed the disciples’ feet on that night. This is reenacted in some churches on Thursday before Good Friday, Collins English Complete and Unabridged Dictionary. The Bible records Jesus’ activity on that night, but again, there is no authorization for Christians to engage in such activity. Good Friday – “The Friday before Easter, observed as a commemoration of the Crucifixion of Jesus” Collins English Dictionary – Complete & Unabridged. The term originated “from good in Middle English sense of ‘holy,’ and especially of holy day or seasons observed by the church (early 15c)” Online Etymology Dictionary. Again, the Bible tells of the events which took place on that day, but does not say that the day is to be remembered with any sort of special activities or recognition. Palm Sunday – “The Sunday before Easter. It is celebrated by Christians to commemorate the entry of Jesus into Jerusalem five days before his crucifixion. On that occasion, the people of Jerusalem laid palm leaves in his path as a sign of welcome. Palms are carried or worn by worshipers in many churches on Palm Sunday, The American Heritage New Dictionary of Cultural Literacy, third edition. Again, the Bible does tell about Jesus’ entry into Jerusalem and the fact that people did place in front of Him palm leaves as well as articles of their clothing. But, God did not command us to reenact those activities. Easter – “An annual Christian festival in commemoration of the resurrection of Jesus Christ, observed on the first Sunday after the first full moon after the vernal equinox, as calculated according to tables based in Western church on the Gregorian calendar and in Orthodox churches on the Julian calendar” Collins English Complete and Unabridged Dictionary. Although the Bible puts a great deal of emphasis on the resurrection of Jesus, it does not authorize setting aside one particular Sunday in which that great event is to be honored. Every Sunday is of equal importance. God expects Christians to assemble to worship Him every Sunday, not just that one particular Sunday (Hebrews 10:25). The way the Bible authorizes us to honor the resurrection of Christ is by being baptized. Christ died, was buried, and arose from the grave. A person reenacts that when he dies to sin, is immersed in water for the forgiveness of those sins and is then raised up out of that watery grave to walk a new life (Romans 6:3-4). Text: “And I heard a great voice out of the throne saying, Behold, the tabernacle of God is with men, and he shall dwell with them, and they shall be his peoples, and God himself shall be with them, and be their God” (Revelation 21:3). God has described to us, by way of earthly treasures, the beauty of heaven i.e. gold and all manner of precious stones. We are also assured that suffering, pain, mourning and death will not be present there. In addition there will always be light and no darkness. These are all real incentives for desiring to go to heaven but the most important thing, I suggest, is not so much how it will look, rather who will be there. Those who overcome will spend eternity with God the Father and our Savior, Jesus Christ! Surely this is what Paul was thinking when he wrote, “My desire is to depart and be with Christ, for that is far better” (Philippians 1:23). We are promised, “He that overcometh shall inherit these things; and I will be his God, and he shall be my son” (Revelation 21:7). The beauty and glory of heaven awaits. All that heaven holds can be ours. Not just to “peer at in amazement”, but to posses, to inhabit, to enjoy – in the presence of God, for all eternity. It is sad that so many people evidently believe that God has given no instructions. Therefore, they believe they can do whatever they wish and God accepts it. They believe that they can live as moral or immoral as they wish and God doesn’t care. They believe they can devise any plan by which to be saved from their sin and God will forgive them. They believe they can offer any kind of worship and God is overjoyed to receive it. Is that what the Bible teaches about God and authority? Does the Bible teach that man rather than God determines what is right and what is wrong? Even those who do believe that God has given the Bible have often interpreted it to justify what they want to do. There are two ways to interpret scripture. One approach is to say that one can do anything God has not specifically condemned. This opens the door for us to do anything and everything. If this were the approach to the Bible being our authority, God would have to continually add to the Bible to condemn every new idea that is suggested. 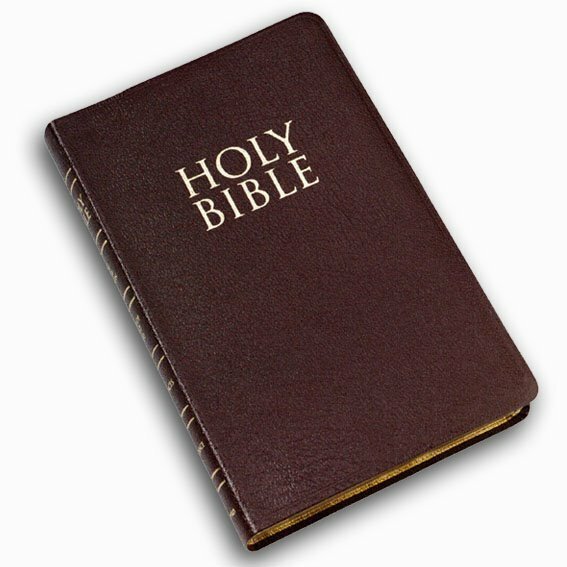 The Bible would never be a completed book. The other view of interpreting scripture is that one can do only what God has authorized him to do. Paul verified this approach to scripture when he wrote, “Whatever you do in word or deed, do all in the name of the Lord Jesus” Colossians 3:17. The phrase, “In the name of” means, what one does, he must do by the authority of Jesus. This approach to interpreting the Bible means that we must have authorization from Christ to do whatever we do. If there is no authorization, it is a sin to do it. In Leviticus 10:1-2 we have an example of this kind of sin. Nadab and Abihu offered fire which God had not authorized. The text says they, “offered strange fire before the Lord, which He had not commanded them” Leviticus 10:1. Thus, God had not authorized the fire they used. (In the Bible the word “strange” is used when speaking of something God has not authorized). Sinning in this way brought their death. “And fire came out from the presence of the Lord and consumed then, and they died before the Lord” Leviticus 10:2. Doing that which God has not authorized is serious! When many people interpret the Bible they say, “I can do this because God did not say, ‘not to do this.’” In essences, that is what Nadab and Abihu did. God did not say, “Don’t use this fire.” But, when God specified which fire He wanted them to use, He forbade them using any other fire. This hermeneutical principle is called, “The Law of Exclusion.” When God specifies something in a category, then everything else in that category is excluded. We use this principle in our everyday lives; we just don’t think about calling it, “The Law of Exclusion.” For example, when you take your car to the mechanic and ask him to change the oil, that is all you have authorized him to do. You will not be pleased when you return and he says, “I also rotated your tires and the charge for that is “x” number of dollars.” You would say, “I did not authorize you to do that.” But, he could reply, “You didn’t say not to do that therefore I thought it would be okay to do it.” We do not accept that kind of authorization in the business world, why will we accept that sort of reasoning and authorization in the spiritual world? Think about religious activities in today’s world. Where is the authority for sprinkling babies? Where is the authority for serving communion everyday? Where is the authority to serve communion once every three months? Where is the authority to play musical instruments in worship? Does it matter? Ask Nadab and Abihu. For thousands of years people have been charmed by the beauty and elegance of the butterfly. Even more so, cultures have been inspired by its incredible metamorphosis. There are about 20,000 different species of butterfly in the world ranging in size and color. One of the most famous is the monarch butterfly. While most butterflies share many of the same abilities, the monarch stands above the rest. Here are some reasons why. Eggs & Location.As the monarch butterfly roams around, it is looking for a place to lay eggs. To do so, it must find the milkweed plant. This plant is pretty much the only plant the monarch caterpillar will eat (National Geographic). To figure out if it is the right plant, the butterfly will taste it with its feet. It will land on a plant, stomp on it to raise some juices, taste the plan, and determine if it is milkweed or not. Once it finds the milkweed, it will lay eggs on the plant. The obvious danger is for the egg to fall off and die before it hatches. So, the butterfly produces an incredibly unique and super strong glue to keep it fixed to the plant. It’s nature’s superglue. When the monarch egg finally hatches, it will eat it’s own shell and then the milkweed plant it was laid on. This seems fine, except for the fact that milkweed is poisonous and capable of killing large animals if they eat enough of it. Somehow the caterpillar feasts upon this plant without any problem at all. The poison has no effect. In fact, it will even use this poison to make itself very unappealing to predators. If a bird eats a monarch butterfly, it will not be so quick to eat another. Transformation.Once the caterpillar has grown and gone through a shedding like process a few times, it is ready to go under a leaf and form the chrysalis. Inside, the caterpillar will release enzymes to break down and liquefy much of itself. What are left are a few main parts, like organs, and a soupy substance. This liquid is exactly what it needs to transform and keep from starving. This fluid mess functions like a bunch of little Lego blocks (Young). Even though the body is broken down, certain groups of cells (e.g. muscles) will stick together to be reused. Other cells in this fluid will form into “imaginal discs,” which will soon grow into parts like wings and legs (ibid). All of these little pieces will build back together. After about 10 days and some incredibly complex growth spurts, the butterfly will finally emerge in its exquisitely transformed body. Migration.Like most butterflies, monarchs can’t fly in cold weather. It must get its body temperature up around 85 degrees to fly. The cold winter weather is a death trap, so monarch butterflies must migrate to warmer climates. The problem is, not a single butterfly of its generation has done this before. In fact, by the time the year winter migration happens, several generations will have already lived and died (National Geographic). The monarchs that make the trip are the previous year’s great grandchildren. Amazingly, every year these butterflies easily make the 3,000-mile migration to the exact same location, following the exact same route, and some even to the exact same tree as their great grandparents (ibid). The monarch butterfly is an amazing insect! Like many creatures, its abilities pose many difficult questions for the supporters of evolution. Why is the butterfly able to go through such a dramatic transformation in just a few days when other animals supposedly must take millions of years to evolve? Why is it that only insects can undergo such a transformation and no other animals, which are supposedly higher up the evolutionary line, are able to do this today? How does the butterfly know exactly where to migrate to, even sometimes down to the same tree as its ancestors? How did it develop the taste receptors on its feet? How and when did it develop immunity to milkweed? Such an incredible insect can only be the creation of the Almighty God. Without a doubt it was the Lord who made all the insects and creatures (Genesis 1:24-25). All other explanations fall short. Butterflies, especially the monarch, boldly proclaim God as the creator (Psalm 19:1). As Psalm 95:6 says, “Come, let us worship and bow down, Let us kneel before the Lord our Maker.” The Lord is deserving! A creator has authority over whatever he creates. The Creator of humanity and the universe has authority over all because He is the creator. He has the right to tell His creation how to live. But, God is in heaven and His creation is on earth. How has God transferred His authority to us so that we know how to serve Him? His creative power was manifested through the word He spoke. “By faith we understand that the worlds were prepared by the word of God, so that what is seen was not made out of things which are visible” Hebrews 11:3. The breath that spoke things into existence also brought man into existence. “Then the Lord God formed man of dust from the ground, and breathed into his nostrils the breath of life; and man became a living being” Genesis 2:7. God’s power and authority rest in His breath or in His words. His word is authority. God, the Father, transferred His authority to His Son. “All authority has been given to Me in heaven and on earth” Matthew 28:18. That authority was transferred to the Son through the word God the Father gave to the Son. While on earth Jesus said, “For I did not speak on My own initiative, but the Father Himself who sent Me has given me a commandment as to what to say and what to speak” John 12:49 (See also John8:28). Just before Christ’s death He prayed to His Father and said, “The words which You gave Me I have given to them” John 17:8. Thus, the authority of God, manifested through His word, has gone from Himself to His Son, to the apostles whom Jesus chose. The apostles gave that authority to prophets through laying hands on certain men (Acts 18:8). Thus, the church was “built on the foundation of the apostles and prophets, Christ Jesus Himself being the corner stone” Ephesians 2:20. The apostles and prophets put God’s authority into written form as they wrote the books of the New Testament. They wrote by the guidance of the Holy Spirit (John 14:26; 15:26; 16:13) so that they would not leave out anything or make any mistakes. Therefore, Paul said, “All Scripture is inspired by God” II Timothy 3:16. As the apostles and prophets wrote the New Testament books (letters), they sent them to various churches or individuals. When a church received one of these letters they made a copy of it and sent it to another congregation. We see this principle mentioned when Paul said to the Colossian brethren, “When this letter is read among you, have it also read in the church of the Laodiceans” Colossians 4:16. Soon, all the congregations had all the letters that had been written by the apostles and prophets. Through the process of transferring the authority of God by means of transferring His word, we have God’s authority today. That authority went from the Father to the Son, to the apostles and prophets, to a written form and that written form came to each congregation. No council gave us the Bible. It came to the church as each of the books circulated among all the congregations. “Reason and experience both forbid us to expect that national morality can prevail in exclusion of religious principle.” Farewell Address — September 17, 1796. John Adams – “We have no government armed with power capable of contending with human passions unbridled by morality and religion. Avarice, ambition, revenge, or gallantry, would break the strongest cords of our Constitution as a whale goes through a net. Our Constitution was made only for a moral and religious people. It is wholly inadequate to the government of any other” Address to the Officers of the Massachusetts militia – 1798. Daniel Webster – “To preserve the government we must also preserve morals. Morality rests on religion; if you destroy the foundation, the superstructure must fall. When the public mind becomes vitiated and corrupt, laws are a nullity and constitutions are waste paper.” July 4, 1800 Oration. “If religious books are not widely circulated among the masses in this country, I do not know what is going to become of us as a nation. If the truth be not diffused, error will be: if God and His Word are not known and received, the devil and his works will gain the ascendancy; if the evangelical volume does not reach every hamlet, the pages of a corrupt and licentious literature will; if the power of the Gospel is not felt throughout the length and breadth of the land, anarchy and misrule, degradation and misery, corruption and darkness will reign without mitigation or end” Daniel Webster, 1823 A Faith Built on Sand By Phil Sanders, p. 43. “I am profitably engaged in reading the Bible. Take all of this book upon reason that you can, and the balance on faith, and you will live and die a happier man.” Remark to Joshua F. Speed, 1864, from The Soul of Abraham Lincoln by William E. Barton – Abraham Lincoln His Essential Wisdom Edited by Carol Kelly-Gangi, p. 99. Benjamin Franklin – “Statesmen, my dear Sir, may plan and speculate for Liberty, but it is Religion and Morality alone, which can establish the Principles upon which Freedom can securely stand. The only foundation of a free Constitution is pure Virtue, and if this cannot be inspired into our People in a greater Measure, than they have it now, they may change their Rulers and the forms of Government, but they will not obtain a lasting liberty.” – Letter to Zabdiel Adams, (First cousin to President John Adams) June 21, 1776 – The Works of Ben Franklin, Vol. 10, p. 297. Tom Clark, associate Supreme Court Justice – “The state may not establish a ‘religion of secularism’ in the sense of affirmatively opposing or showing hostility to religion, thus preferring those who believe in no religion over those who do believe”, America’s God and Country, Federer, William J. ed., p. 605. Warren Burger, Supreme Court Justice – “There is an unbroken history of official acknowledgement by all three branches of government of the role of religion in American life…The Constitution does not require a complete separation of church and state. It affirmatively mandates accommodation, not merely tolerance, of all religions and forbids hostility towards any.” America’s God and Country, Federer, William J. ed., p. 608. William Rehnquist, Chief Justice Supreme Court – “It is impossible to build sound constitutional doctrine upon a mistaken understanding of constitutional history…The establishment clause has been expressly freighted with Jefferson’s misleading metaphor for nearly forty years….There is simply no historical foundation for the proposition that the framers intended to build a wall of separation [between church and state]…the recent court decisions are in no way based on either the language or intent of the framers.” America’s God and Country, Federer, William J. ed., p. 608. God As He Is or As We Make Him? “We have turned to a God that we can use rather than to a God we must obey; we have turned to a God who will fulfill our needs rather than to a God before whom we must surrender our rights to ourselves. He is a God for us, for our satisfaction – not because we have learned to think of him in this way through Christ but because we have learned to think of him this way through the marketplace. In the marketplace, every-thing is for us, for our pleasure, for our satisfaction, and we have come to assume that it must be so in the church as well. And so we transform the God of mercy into a God who is at our mercy. We imagine that He is benign, that he will acquiesce as we toy with his reality and to co-opt him in the promotion of our ventures and careers. Thus do we presume to restrain him in a Weberian ‘iron cage’ of this-worldly preoccupation. Thus we do tighten our grip upon him. And if the sunshine of his benign grace fails to warm us as we expect, if he fails to shower prosperity and success on us, we will find ourselves unable to believe in him anymore.” (God in the Wasteland: The Reality of Truth in a World of Fading Dreams, p. 114 as quoted in Adrift – Postmodernism in the Church by Phil Sanders pp. 16-17). May we never forget the great truth Isaiah declared, “‘For My thoughts are not your thoughts, nor are your ways My ways,’ declares the Lord. ‘For as the heavens are higher than the earth, so are My ways, higher than your ways and My thoughts than your thoughts’” Isaiah 55:8-9. The greatest way in which postmodern man tries to make God as he wants Him to be, is by denying that there is absolute truth. But, if one believes in God, one must then believe in absolute truth. God is absolute truth and therefore manifests Himself in absolute truth. To deny one is to deny the other. Jesus said, “I and the Father are one” John 10:30. Jesus then said, “I am….the truth” John 14:6. Therefore, God, the Father is truth. The Holy Spirit is the third person of the godhead. The apostle John said of Him, “The Spirit is the truth” I John 5:6 (ASV has this statement in verse 7). Therefore,each person in the godhead is truth. “This being true, it follows that all that comes from God is true” (The Timeless Trinity for the Ceaseless Centures by Roy H. Lanier, Sr. p. 78). “All truth among men, whether mathematical, logical, moral, or religious, is to be regarded as having its foundation in this imminent truth of the divine nature and as disclosing facts in the being of God” (Systematic Theology by A. H. Strong, p. 261 as quoted by Lanier, p. 78). Jesus came to be the sin-sacrifice, the ransom for our sin (II Corinthians 5:20-21; I Timothy 2:6). When He returned to heaven to be our mediator (I Timothy 2;5), He sent the Holy Spirit, who is called “The Spirit of truth” John 16:13. The Holy Spirit guided the apostles and prophets into all truth (John 16:13). He did not fail to give all truth and when He finished His work, there has not been any more truth revealed. Jude declared that this truth, called “the faith” was “once for all handed down to the saints” Jude 3. Therefore, Paul declared, “All Scripture is inspired by God and profitable for teaching, for reproof, for correction, for training in righteousness; so that the man of God may be adequate, equipped for every good work” II Timothy 3:16-17. God is consistent. The inspired prophet James said, “Every good thing given and every perfect gift is from above, coming down from the Father of lights, with whom there is no variation or shifting shadow” James 1:17. Jesus Christ who is truth and the giver of the Holy Spirit of truth are consistent. “Jesus Christ is the same yesterday and today and forever” Hebrews 13:8. What God, the Father, Christ, the Son, or the Holy Spirit spoke and wrote in the first century, is just as true today. It was absolute then; it is absolute today. God is truth and His truth is absolute. Let’s not try to make God as we want Him to be, but let’s accept Him as He is – the God of truth (Psalm 31:5). We are a world on a search, looking for happiness, fulfillment, and purpose. Nation by nation, people are filing into and ultimately out of this world. The majority never find that for which they look. It is a timeless quest, one that has spanned the ages without respect of person–those of every race, status, and skill have sought. The problem, most often, is they are looking in the wrong place for the wrong thing. Near the end of the seventh century, Judah, who should have known better, had abandoned God in search of something better. This, of course, was a futile quest from the outset. As the result, they faced 70 years of Babylonian Captivity as reward for their looking elsewhere for what only God could supply. Jeremiah prophesied to them, and it was mostly an ominous, stern message. Yet, in Jeremiah 29, peering down the corridor of time past their punishment in a foreign land, Jeremiah reveals God’s great exhortation, telling Judah, “You will seek Me and find Me when you search for Me with all your heart” (13). Upon searching, they would find reward, restoration, reunion, and rest (14). Dark days would lie ahead in the captivity, but, given the proper condition of heart, Judah could find hope. In this profound statement of Jehovah, consider these exciting truths. God sees potential in us. He looks beyond the capture, slaughter, and violence His people would endure for their sins and despite their false assurance. God cannot let sin go unpunished, but even when He views His sinful children He looks with optimistic eye. He saw the day when Judah would seek Him. While others see the worst in us and see our past, God sees the best in us and knows what we could be. God can be found. Despite the mantra of modern muddiers of the mind, God is “findable.” Paul preached that “He is not far from each one of us; for in Him we live and move and exist” (Acts 17:27b-28a). Truth is knowable because the source of truth is knowable. It would reflect on the perfect character of God for Him to create us, then remove Himself from the affairs of life, to be shrouded in an impenetrable cloud of mystery. In the Bible, we have a roadmap that leads to the mind and heart of God! By it, we come to know Him (1 John 2:3). God must be sought with all our heart. Judah was guilty of heartless religion, ritualistic worshippers drowning in worldliness during the week then pretentiously entering His presence on the Sabbath, as if He could not see them the rest of the time (cf. Jeremiah 7). God rejects hollow honor and surface service. He requires the heart! But, remember that He is found when we search with all our heart (cf. Deuteronomy 4:29). Isn’t this part of the greatest command, to “love Him with all our hearts” (Deuteronomy 6:5; Mt. 22:37). He wants service (Deuteronomy 10:12), deeds (Deuteronomy 26:16), obedience (Deuteronomy 30:2), trust (Proverbs 3:5), and repentance (Joel 2:12) to be done with all our heart. The great search continues. How tragic that so many are on such fruitless quests, looking everywhere but where they should! May we who know where He is to be found, search ourselves. “To deliver you from the way of evil” (Prov.2:12). In some circles, being “street smart” is the best kind of intelligence. Here one has learned the way of the city, where the dangerous people and places are. If you don’t know your way around, staying with one who is street smart may be your ticket to safety. In Proverbs 2, a father is having a heart-to-heart talk with his son. The father is concerned about whether his son is aware of the most important kind of knowledge, and whether he has the work-ethic required to get that knowledge. He appeals to him to see the “treasure” of being God-smart. God-smart is better than any other kind of intelligence. Paul talks about people who claim to know God, “but by their deeds deny him” (Titus 1:16). John talks about people who claim to know God, but it is obvious they don’t. How do we know? They “don’t keep His commandments” (1 John 2:4). Paul told the Christians at Thessalonica that on Judgment Day God is going to deal out retribution to those who “know not God” (2 Thessalonians 1:8). As Solomon told his son, he needs to “discover the knowledge of God” (Proverbs 2:5). That sounds like good advice for us, too. We spend our lives learning all kinds of stuff. We may know how to build a house or fix a car. We may know how to prepare a meal or sew a dress. We may know history, geography, philosophy or some other -sophy. We may even be street smart. But nothing (literally!) is better than being God-smart. Walls protect. When there are no walls precious treasures can be stolen or destroyed. Today, walls of personal moral restraint have been torn down. Walls for spiritual support in the home have been destroyed. Walls of proper hermeneutical interpretation in the church have been cast aside. Biblical walls for guiding our nation have been ignored or twisted by our national leaders. If there is ever going to be restoration in our personal lives, homes, church, and nation, we must rebuild the walls. The book of Nehemiah is a book about rebuilding the wall around Jerusalem to protect God’s house (Nehemiah 1:3; 2: 6:15). The principles that guided Nehemiah in rebuilding that physical wall can guide us in rebuilding our spiritual walls. Let’s note some of those principles. First, one must recognize that walls are down and that this is a serious situation. The temple of God had been built, or at least was in the process of being rebuild, but as long as there were no walls around the city, the temple was subject to being plundered again. Nehemiah recognized the seriousness of the situation. Unfortunately, the philosophies of today have blinded the minds of many so that they do not recognize that the protective walls are down. People today are deceived just as they were in the days of Jeremiah when God said, “For from the least of them even to the greatest of them, everyone is greedy for gain; and from the prophet even to the priest everyone deals falsely. They have healed the brokenness of My people superficially, saying, ‘Peace, peace,’ but there is no peace” (Jeremiah 6:13-14). Walls of moral integrity have been destroyed and people don’t even know it. Corruptions that destroy the home are present and people are not afraid. In fact, they even promote these false ideas. Second, Nehemiah was sad when he learned that the walls were destroyed. Those who reported to Nehemiah said, “the wall of Jerusalem is broken down and its gates are burned with fire” (Nehemiah 1:3). Nehemiah said, “When I heard these words, I sat down and wept and mourned for days” (Nehemiah 1:4). Only when there is godly sorrow will restoration and restitution take place. “For the sorrow that is according to the will of God produces a repentance without regret, leading to salvation, but the sorrow of the world produces death” (II Corinthians 7:10). Nehemiah’s concern was so deep that his employer, the king, noticed the problem. “So the king said to me, ‘Why is your face sad though you are not sick? This is nothing but sadness of heart’” (Nehemiah 2:2). Nehemiah’s concern was not shallow. It was not something that would pass in a few days. His concern was deep and so severe that it showed. Until we have that depth of concern for our broken walls, we’ll do nothing to restore them. Third, Nehemiah fasted and prayed about the matter (Nehemiah 1:4). His sorrow wasn’t just outward, but rather inward. Fasting indicates deep sorrow and personal examination. Listen to his prayer, “Let your ear now be attentive and Your eyes open to hear the prayer of Your servant which I am praying before You now, day and night, on behalf of the sons of Israel Your servants, confessing the sins of the sons of Israel which we have sinned against You; I and my father’s house have sinned. We have acted very corruptly against You and have not kept the commandments, nor the statutes, nor the ordinances which You commanded your servant Moses” (Nehe-miah 1:6-7). God was not at fault, the people were. We must recognize that the problem in our lives, homes, church, and nations is not God’s fault, but ours. Fourth, Nehemiah did something to solve the problem. When asked by the king what his request was Nehemiah had specific answers. He got permission and materials from the king to correct the problem. Although he lived 800 miles from the problem he became personally involved. It is easy for everyone to wish someone would do something to solve the problem. Wishing will not help, but working will. It is always easy to stand on the sidelines and let someone else do the work. We must get involved. Do you recognize that the walls in your spiritual house are being destroyed or have already been destroyed? Do you recognize that the walls of protection in the church are being removed? Would you not agree that the walls of protection that the nation should provide are being destroyed daily? If we recognize these facts, then each of us recognizes his own personal responsibility to rebuilt these walls. Let’s do what Nehemiah did. He was successful in that the walls were built in fifty-two days (Nehemiah 6:15). How long will it take to rebuild our walls if we each work at it? This article first appeared in the Rocky Mountain Christian, September 2004. Lawrence Anthony, a legend in South Africa and author of three books (including the best-seller, The Elephant Whisperer), bravely rescued wildlife and rehabilitated elephants all over the globe from human atrocities. This included the courageous rescue of Baghdad Zoo animals during the US invasion in 2003. On March 7, 2012, Lawrence Anthony died. He is remembered and missed by his wife, two sons, two grandsons and numerous elephants. Two days after his passing, the wild elephants showed up at his home led by two large matriarchs and separate wild herds which arrived in droves to say goodbye to their beloved man-friend. A total of 31 elephants had patiently walked over 112 miles to get to his South African house. This was the elephants’ journey to pay respect – but how did they know? The answer is that there is “something in the universe that is much greater and deeper than human intelligence.” Witnessing this spectacle, humans were obviously in awe not only because of the supreme intelligence and precise timing that these elephants sensed about Lawrence Anthony’s passing, but also because of the profound memory and emotion the beloved animals evoked in such an organized way; walking slowly – for days – while making their way in a solemn one-by-one procession from their habitat to his house. So how, after Anthony’s death, did the reserve’s elephants – grazing miles away in distant parts of the park – know? “A good man died suddenly,” says Rabbi Leila Gal Berner, “and from miles and miles away, two herds of elephants, sensing that they had lost a beloved human friend, moved in solemn, almost ‘funeral-like procession’ to make a call on the bereaved family at the deceased man’s home.” If there ever were a time when we can truly sense the wondrous “interconnectedness of all beings,” it is when we reflect on the elephants of Thula Thula. A man’s heart stops and hundreds of elephants’ hearts are grieving. This man’s oh-so-abundantly loving heart offered healing to these elephants, and now they came to pay loving homage to their friend. Lawrence’s wife, Francoise, was especially touched, knowing that the elephants had not been to their house prior to that day for well over three years! Yet they knew where they were going. The elephants obviously wanted to pay their deep respects, honoring their friend who‘d saved their lives – so much respect that they stayed for two days and two nights without eating anything. Then one morning they left, making their long journey back.” True to their reputation that elephants never forget, they remembered their friend. A long-time missionary to South Africa Monthly Newsletter, Volume 21 Issue 1, January 31, 2013. Righteousness is a word from the Old and New Testaments that speaks to our relationship with God. David knew God to be the great shepherd that guided him in the paths of righteousness, and then includes “for His name’s sake” (Ps. 23:3). We are to hunger and thirst for righteousness (Mt. 5:6), our righteousness is to exceed that of the scribes and Pharisees (Mt. 5:20), and we are to seek first His righteousness (Mt. 6:33). Perhaps, the most significant for Christians shows how Jesus, who knew no sin, was made sin on our behalf so that we might be made the righteousness of God in Him (2 Co. 5:21). These are only a few verses expressing the nature of this word. The guide for our life, food for our soul, ethical character, and priority of life are framed by the righteousness Jesus made possible through His death. God should trust and the world should know that our choices are for the sake of righteousness. Before any decision is acted upon, consideration of the quality of our righteousness must be considered. Is it right with God? Would you believe that you have to see before you can hear? Isaiah saw something before he could hear God’s call. He wrote, “I saw the Lord sitting on a throne, lofty and exalted, with the train of His robe filling the temple,” Isaiah 6:1. He also saw seraphim, a special class of angels, manifesting reverence toward the one on the throne. One act of reverence was one seraphim calling to the others, “Holy, Holy, Holy, is the Lord of hosts, the whole earth is full of His glory” Isaiah 6:4. Seeing the throne of God, the reverence manifested toward God, and hearing the seraph God by declaring His holiness, caused Isaiah to examine himself. His conclusion was, “Woe is me, for I am ruined! Because I am a man of unclean lips, and I live among a people of unclean lips; for my eyes have seen the King, the Lord of hosts” Isaiah 6:5. Symbolically, Isaiah was cleansed when a seraphim took a hot coal from the altar (probably, the Altar of Burnt Offerings) and touched his lips and he was forgiven (Isaiah 6:7). Then, he was able to hear “the voice of the Lord, saying, ‘Whom shall I send, and who will go for Us?’” Isaiah 6:8. “Then I said, ‘Here am I. Send me!’” Isaiah 6:8. He had to see God’s holiness and his own unholiness before he could answer God’s call for him to go. Have You Seen – Have You Heard? All those who are committed to God have seen God’s holiness and their unholiness. “When Simon Peter saw that, he fell down at Jesus’ feet, saying, ‘Go away from me Lord, for I am a sinful man, O Lord!’” Luke 5:8. Because Paul saw the Lord he said, “Christ Jesus came into the world to save sinners, among whom I am foremost of all” I Timothy 1:15. There is no fear of God before their eyes” Romans 3:10, 11, 18. His conclusion was, “All have sinned and fall short of the glory of God” Romans 3:23. Until we see the holiness of God and our sinfulness we will never see the need to hear God’s call nor come to God for salvation. Our old man of sin is so contaminated that it has to die. That is what happened to Paul. He said, “I have been crucified with Christ; and it is no longer I who live, but Christ ives in me; and the life which I now live in the flesh I live by faith in the Son of God, who loved me and gave Himself up for me” Galatians 2:20. A throne represents power and authority. When Isaiah saw the throne of the Lord he recognized God was the ruler — He has the authority. When we see God’s holiness we will also see God’s authority. Only one being can sit on a throne at one time. Who is sitting on the throne of your life? God wants to sit on the throne of your life, but as long as you are saying, “I’ll do it my way,” you are on the throne. Until you put God on the throne of your life you will never say, “‘Here am I. Send me!’” To say ‘Here am I. Send me!’” is a confession that you are not in charge. Who is in charge of your life? You must see before you can hear. You must hear before you can serve. God calls for committed followers. Committed followers have seen the throne of God, their own unworthiness, and the need to serve. What we see determines the call we answer. Remember, Jesus said, “Many are called, but few are chosen” Matthew 22:14. You determine if you are chosen by God. What is your decision? Life is often challenging/difficult. The weight of the world is indeed a most heavy burden. Clichés like, “If life gives you lemons, make lemonade,” are not always helpful in dealing with the day-to-day struggles of life. So, what will help when the world is pressing down on you? God has the answer. Pray. Jesus prayed before He chose the 12 disciples (Luke 6:12-13). He prayed before He raised Lazarus from the dead (John 11:41-43). But when Jesus came to His most heavily weighted moment in life, His prayer was not answered in a way that was favorable toward Him. This is found in Matthew 26 when Jesus prayed in the Garden of Gethsemane. All other prayers (as far as we know) had been answered in His favor. James said, “Is anyone among you suffering? Let him pray” (James 5:13a). God’s word teaches us to pray for public leaders, our enemies, our brothers and sisters, the sick, wisdom, sinners, open doors, forgiveness, healing and for help in our time of need. Paul wrote, “Be anxious for nothing, but in everything by prayer and supplication, with thanksgiving, let your requests be made known to God” (Philippians 4:7). James affirmed that “the fervent effectual prayer of a righteous man avails much” (James 5:16). Trust. Although Jesus did not receive the answer to His prayer that He desired, He had complete trust that God would provide the answer that was most needed. This is evidenced by the fact that in each prayer Jesus concluded by saying, “… nevertheless not My will, but Yours, be done” (Luke 22:42). Jesus said it, and He meant it. When Pilot threatened Jesus with life or death (John 19:10), Jesus answered him, “You could have no power at all against Me unless it had been given you from above” (John 19:11). He meant it with every ounce of life in His body. His trust in God was that strong. When faced with the threat of death, Shadrach, Meshach and Abednego trusted God to deliver them from the fiery furnace (Daniel 3:17-18). Even the often prideful king of Babylon, Darius, trusted in God. As they sealed the lions’ den, having put Daniel inside, he said, “Your God, whom you serve continually, He will deliver you” (Daniel 6:16). Follow Through. When you read Hebrews 11 you will find that many of those faithful men and women listed did not receive this recognition because of living a quiet and restful life. Most of them lived through very difficult times and suffered much persecution. Many of them died a horrific death. But each of them lived faithfully through their various trials and tribulations. The “Hall of the Faithful” does not end in Hebrews 11. It continues into chapters 12 and 13. Jesus is the ultimate example of faithfulness. His endurance on the cross set the standard. With Jesus in mind, Christians are not to become weary and discouraged (Hebrews 12:3); they are to resist evil unto bloodshed (vs. 4); endure chastening (vss. 5-11); strengthen the weary (vs. 12); pursue peace (vs. 14); resist bitterness and trouble (vs. 15); remember you have come to the city of the living God, and the church of the firstborn (vss. 22-23). You have come to Jesus Christ and His blood (vs. 24). It is Jesus who said, “Come to Me, all you who labor and are heavy laden, and I will give you rest. Take My yoke upon you and learn from Me, for I am gentle and lowly in heart, and you will find rest for your souls. For My yoke is easy and My burden is light” (Matthew 11:28-30). Pray, trust, and follow through. We appreciate those who risk their lives while treating those who have contagious diseases. They are at risk everytime they try to help the victim. Two nurses in the Dallas, Texas area who treated an ebola patient have contacted that terrible disease. Interestingly, Jude makes a similar comparison when we reach out to save sinners. He says, “On some have mercy with fear, hating even the garment polluted by the flesh” Jude v. 23. The background of this idea comes from Leviticus 13:47ff in dealing with leprous clothing. We must reach out to sinners, but be careful that we don’t “catch” what they have.